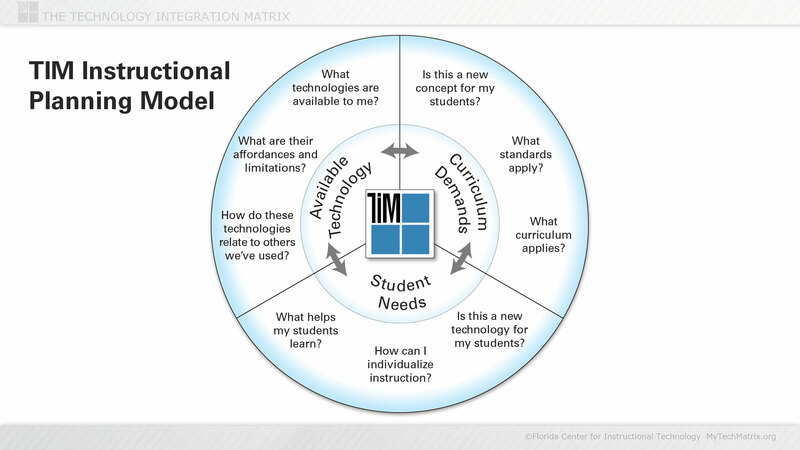 The TIM Instructional Planning Model incorporates available technology, curriculum demands, and student needs. These three areas should be considered flexibly and iteratively by teachers planning classroom lessons. Reproduced from: Harmes, J. C., Welsh, J. L., & Winkelman, R. J. (2016). 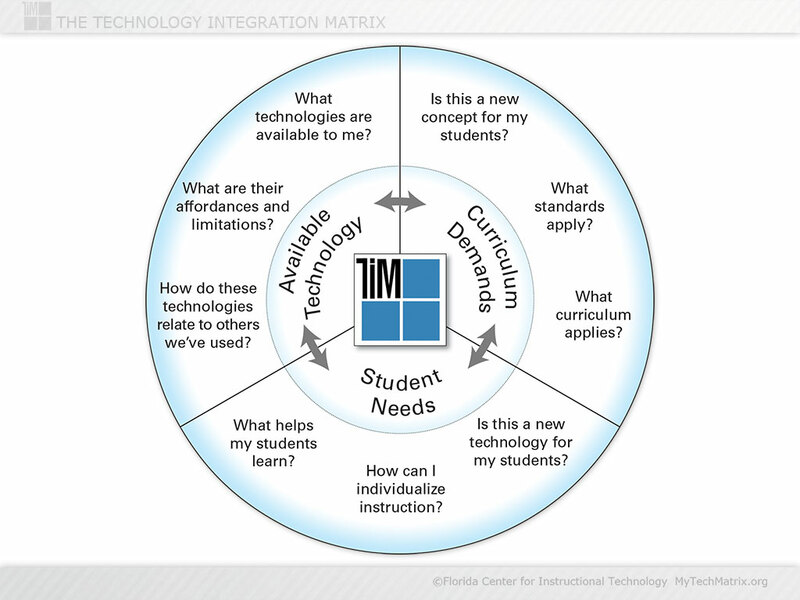 A framework for defining and evaluating technology integration in the instruction of real-world skills. In S. Ferrara, Y. Rosen, & M. Tager (Eds. ), Handbook of research on technology tools for real-world skill development (pp. 137-162). Hershey, PA: IGI Global. What technologies are available to me? What are their affordances and limitations? How do these technologies relate to others we’ve used? What helps my students learn? How can I individualize instruction? Is this a new technology for my students? Is this a new concept for my students?